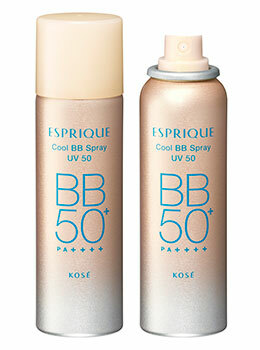 An industry-first cooling BB Spray that tightens pores and smoothes skin with a refreshing sensation. When the pressurized BB liquid is expelled from the canister, this vaporization process cools down the liquid, making it 5°C cooler to the touch! 1.Smooth Soft Focus Gel: Forms a silky-smooth veil and gives a soft-focus effect. A multi-functional product that works as an essence, sunscreen, makeup base, foundation, and face powder all at once. Prepare skin with skincare items before use. Shake the canister. Holding the sponge 2cm away, depress the nozzle for 1 to 2 seconds to dispense a sufficient amount of product for application. 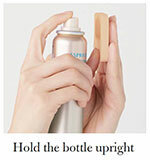 * Do not spray directly onto the face.